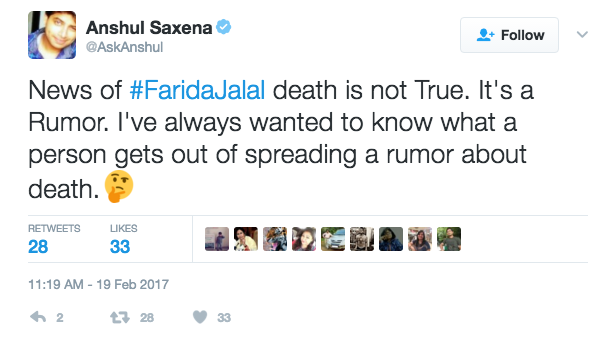 Home BOLLYWOOD Farida Jalal’s REACTION To Her Death Hoax! 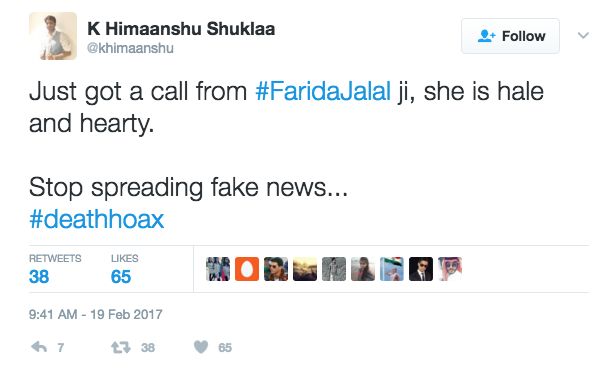 Farida Jalal’s REACTION To Her Death Hoax! 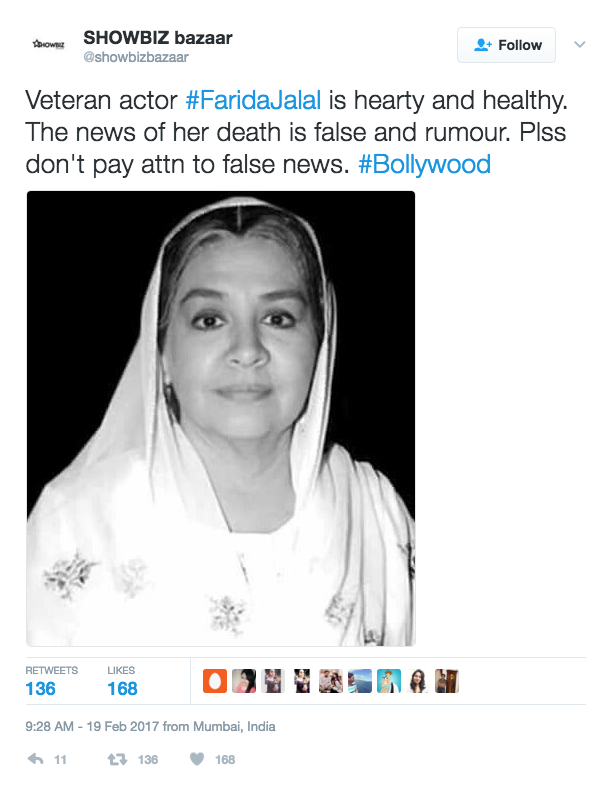 The ongoing buzz on social media about the death of Bollywood veteran actor Farida Jalal are mere rumours. 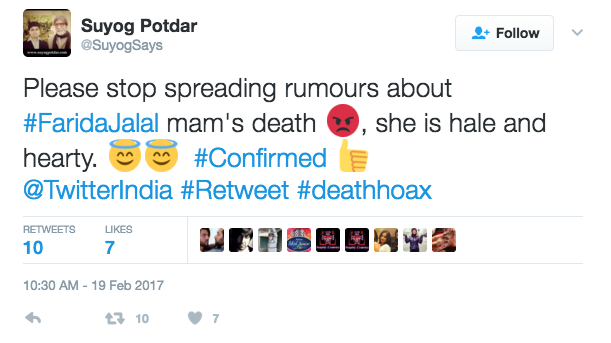 Many Bollywood celebrities have become victims of death hoax including Amitabh Bachchan, Aishwarya Rai Bachchan, Salman Khan, Madhuri Dixit, Dilip Kumar, and Honey Singh. 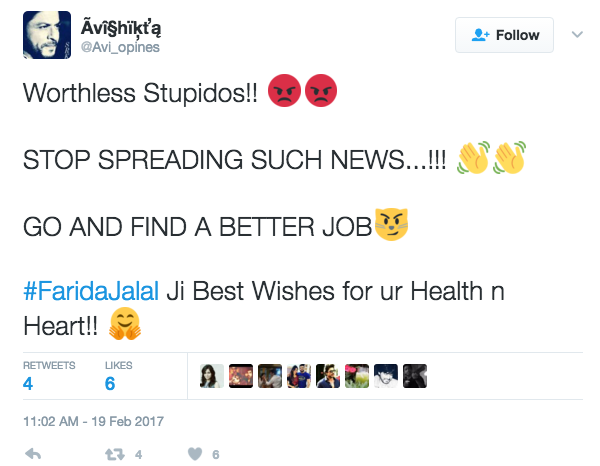 This time the victim was none other than actress Farida Jalal. 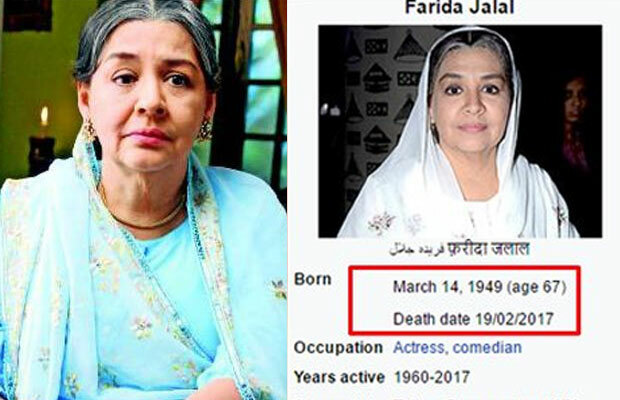 On Sunday, news of Farida Jalal‘s death spread like wildfire on social networking sites. 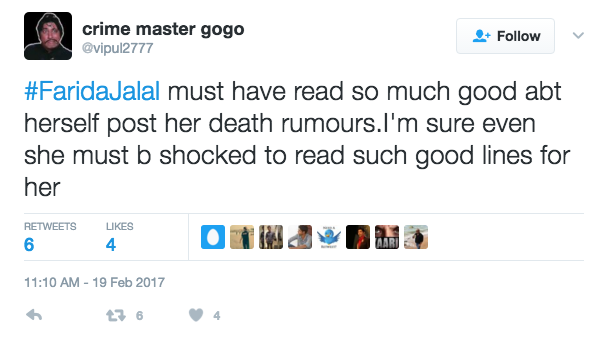 In fact, condolences began pouring in but the truth is she is not dead and is doing perfectly fine. 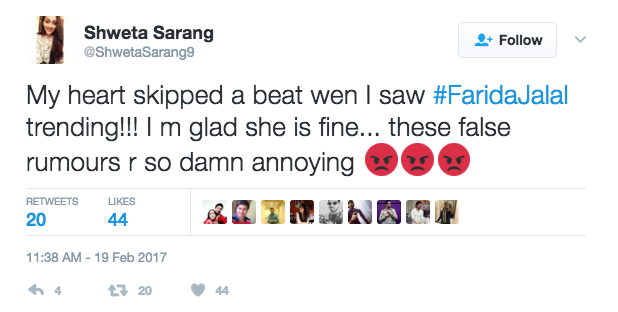 On the work front, Farida Jalal will be soon seen playing a prominent role of a Kashmiri woman in Imran Khan‘s upcoming film ‘Sargoshiyan‘. Previous articleInside Photos: Sonakshi Sinha, Katrina Kaif, Deepika Padukone And Others At Shahid Kapoor’s Birthday Bash! Next articleDev Patel’s LION To Have A Special Screening Hosted By Maneka Gandhi!